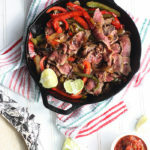 Skirt steak recipe is marinated in a combination of tequila, Worcestershire, soy sauce, garlic, and jalapenos. 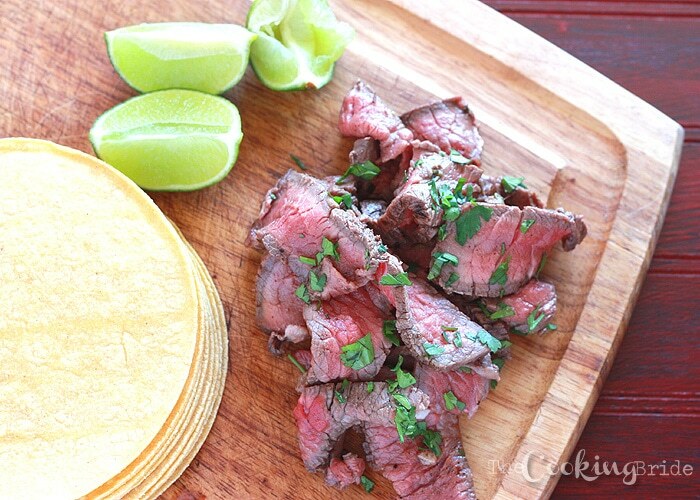 Grill it up and finish with a drizzle of fresh lime juice. 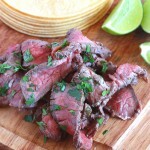 Flank or skirt steak is one of my favorite cuts of meat to prepare at home. 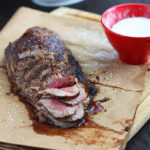 I like to call it poor man’s steak – you get your red meat without doing too much damage to your grocery budget. 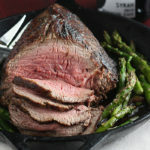 And when prepared right, sometimes the flavor and tenderness can rival a more expensive cut. I generally don’t grill this cut of meat only because it is thinner and doesn’t require a very long cooking time. Most of the time, I pan sear and finish it off under the broiler if needed. However, now that warmer weather has begun to creep in The Husband is itching for any excuse to fire up the grill. So I appeased him and let me him have his way. The secret here is cooking the meat until medium rare (internal temperature of 120 degrees), allow it to rest for 15 minutes, and then cut it against the grain. If you don’t know what that means, I explain it in this post. I could have just eaten the sliced meat by itself just using my fingers. 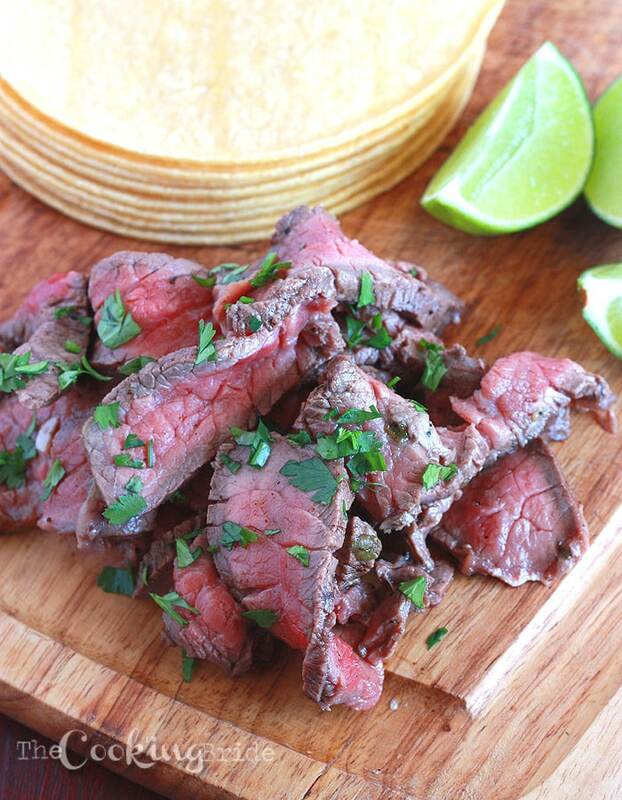 However, if you’d like to be more civilized, this is also delicious when served on warm soft tortillas with a slice of avocado and a sprinkling of cilantro. A cold margarita wouldn’t hurt either. Combine tequila, Worcestershire sauce, soy sauce, jalapeno, green onions, garlic cloves, brown sugar, and black pepper. Pour mixture into a resealable plastic bag. 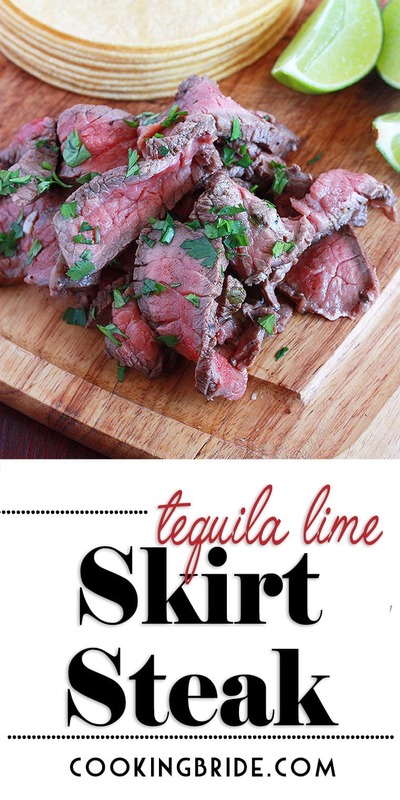 Add skirt steak to the bag. Seal the bag, then shake to coat the meat with the marinade. Marinate in the refrigerator for at least 3 hour, preferably overnight. Place meat on the hot grill and grill for 3-4 minutes per side, until internal temperature reaches 120 degrees. Remove meat from grill and allow to rest for 15 minutes. WOW! These look amazing. Can’t wait to try them! I’ve got some tequila lying around that’s waiting to be experimented with. Marinated chicken and the flavor was a real winner. I used Jalapeno Tequilla, and omitted the salt and diced jalapeno. I added a touch of cumin and coriander. and served with a topping of fresh Cilantro. Ohh, jalapeño tequila!! I LOVE that idea!